It seems like the older you get the more you wonder about your relatives. Who they were and what they did. Unfortunately, as you get older there are also fewer of them around to talk to about it. Which is why genealogy has become a huge hobby for so many people. But why wait? Why not start getting kids interested when they are little? 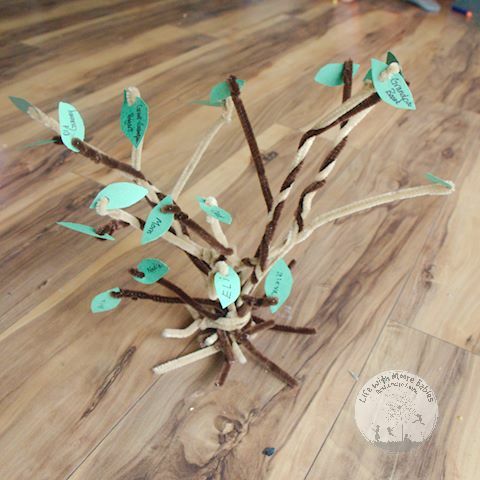 A simple way we did this was by making our own 3-dimensional Family Tree. We chose 2 colors of brown pipe cleaners for the branches of our tree. 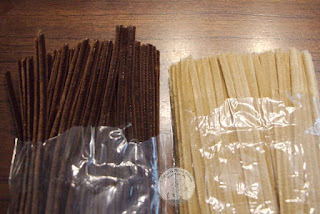 My kids chose to use dark brown ones for girls and light brown ones for boys. 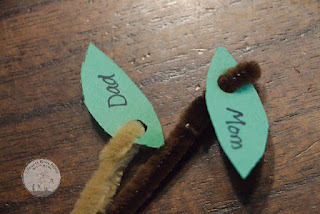 Now take out 1 pipe cleaner for each person you want in your family tree. We laid ours out in couples. So we had a couple for mom and dad, each set of grandparents and each set of great-grandparents. We left out aunts, uncles, and cousins for now. 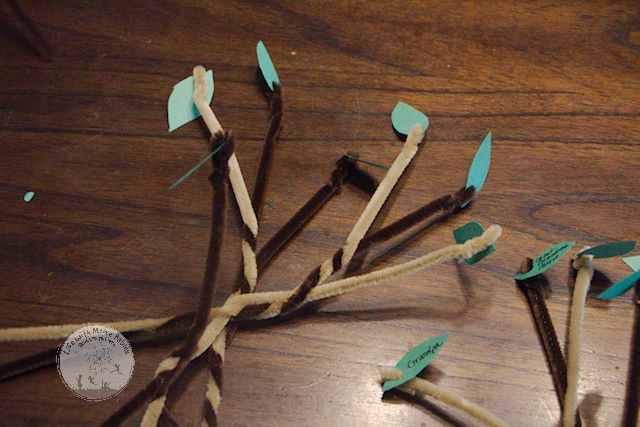 This was my son's first experience with a family tree, so we wanted to keep it simple. Then you need to cut leaves from your construction paper. I just folded mine and cut 6 little leaf shapes at once. 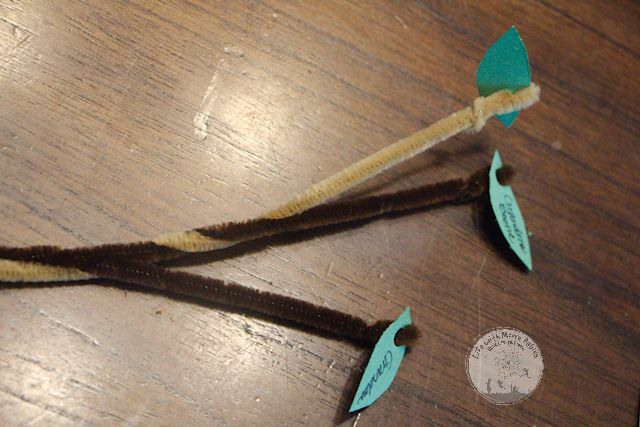 Hole punch them, write names, and attach to the correct pipe cleaner. For names we used what my kids call that family member. You could also use given names or write the given name on one side and the nickname on the other. Now take each pair and start twisting them together. We started with the oldest generation. Twisting them together and in the middle adding whoever came from that marriage. Now you have to take that person's pipe cleaner, attached to their parents, and twist it with their spouse (which should now be attached to their parents). We did have one instance where we needed to add a step-parent, so we used 3 pipe cleaners for that. I started with the first marriage, then I stopped twisting and added in the second marriage. In this situation the children came from the first marriage, so we twisted in the branches there. 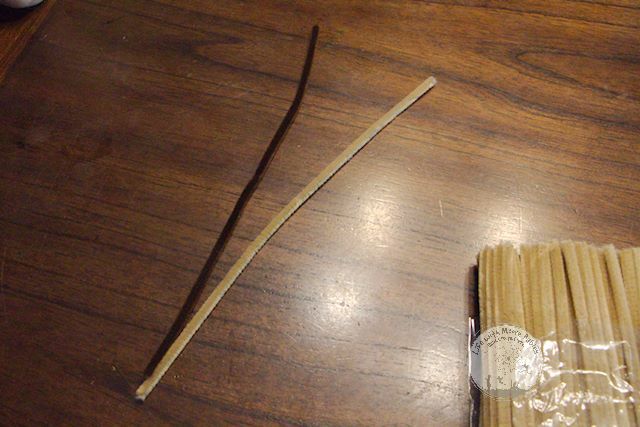 After enough twisting, you should have 2 thicker branches to represent the two sides of the family. 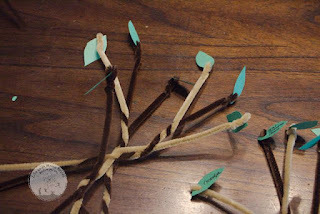 At this point I also went ahead and labeled a branch for each of my kids, and I added them between the branches for me and my husband as I twisted the tree together. I went ahead and used a couple pipe cleaners at the bottom to stabilize the tree as well, so it would stand. Now the youngest generation (my kids) are the short branches at the bottom and the older generations are branching up and out. My kids were thrilled with their family tree. It really helped them understand the family relationships that they aren't as familiar with since most of their great-grandparents have passed away already. It also got them asking questions about their relatives. Knowing your family history can help you understand yourself, it can pass down special memories as well as health knowledge, and it can gives kids a reason to be proud of who they are or a reason to work harder. No matter what they learn, if you are doing it with them it is sure to increase the bonds between you and your kids. Now that I have my kids interested, we may need to delve more into genealogy, so they can ask those questions while they still have the people here to answer. After we made our little family tree we happened upon a great book at the library, Me and My Family Tree, that introduces kids to what a family tree it. 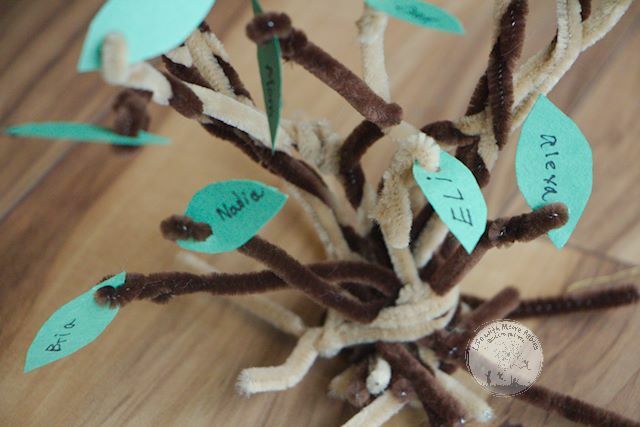 Of course we had to check it out; it fits so well with this little family tree project!